Barcelona megastar Lionel Messi has been voted the best player in the world in a poll of the Brasilerao Serie A bosses. 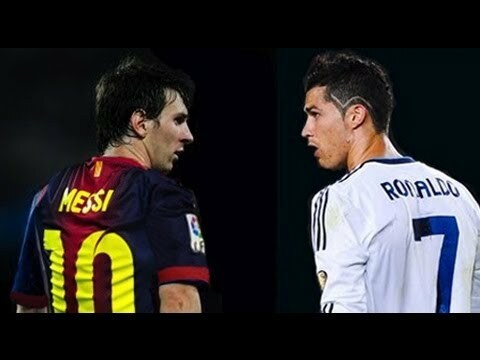 The 20 coaches were asked who they would splash the cash on given a choice to sign either Messi or Cristiano Ronaldo . Argentine ace Messi cruised to a landslide victory, winning almost three-quarters of the vote, despite Brazil's rivalry with the La Albiceleste. Real Madrid superstar Ronaldo managed just five votes in a poll conducted by Pombo. Sport coach Falcao was unable to pick between the two players Meanwhile, Barcelona president Josep Maria Bartomeu has moved to rubbish claims that Messi could leave the Catalan club. Media reports have suggested the Argentine would be open to a move to the Premier League, with Manchester United believed to have the best chance of luring him away from the Nou Camp. Messi is currently sidelined with a knee problem, and has faced scrutiny, along with his father, for his tax dealings during his time in Spain, making him frustrated. However, Bartomeu has labelled the claims 'embarrassing', insisting he's going nowhere. He told 8TV : "People who say Messi is leaving Barcelona should be embarrassed. "Messi is recovering for the Madrid-Barcelona game. He is hoping to play El Clasico,but injuries have their process. "Leo and his father said they don't imagine playing at another club. The relationship with the family is very good. We are not in the negotiation phase yet, when the time comes it will be presented. "He has a contract for the next three seasons. Messi is very angry about the Spanish taxation. It is not normal, the information published on Leo Messi. "If his tax advisers have made a mistake they have to pay like everyone else. Messi deserves respect as all do."